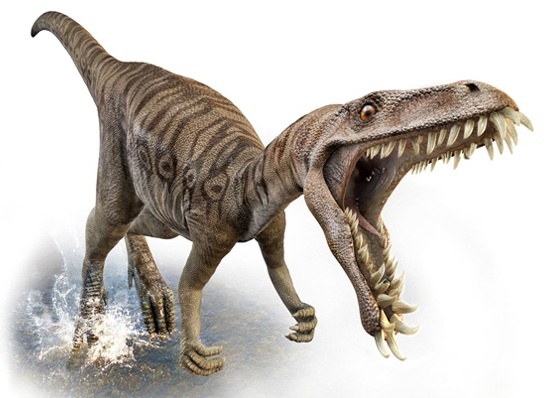 A Dinosaur Ate My Inbox | Less. More. Abundantly. I wanted to call Linda. She was my Father’s nurse who continues to be my personal ‘Guardian Angel’. Her number was gone. All my contacts were gone, as were my pics and my calendar. Earlier that day my seven year old downloaded a DinoDestroy SomethingOrOther game. The game involved avoiding death by veloceraptors and various firearms. It’s, in his words, ‘glitchy’. Apparently, the dinosaurs ate my inbox. After IT support from my author friend in Montana whilst she sat in a Greek restaurant gnoshing baklava, my phone was somewhat restored. Everything came back…from September of last year. Pictures were hyper bright of the chemotherapy lab, Dad wearing my sunglasses because his eyes hurt. 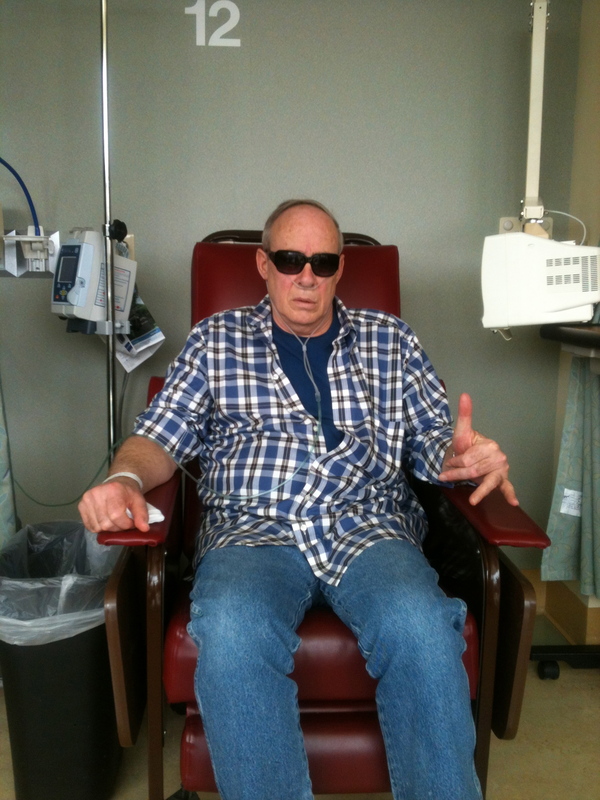 Only Dad could make chemo look this good! The texts were with frantic family members as the gravity of his illness settled like a wet blanket over our lives. The calendar was full of appointments for specialists and tests, none of which were to cure only to prolong what we knew would be the inevitable. I’ve done my best not to grieve. I’ve packaged the past and placed it on my emotional ‘do not fly’ list. Quite simply, my soul is too thin and would shred. Seems as though my iPhone, and maybe God, had other plans. It’s messy and requires many tissues, napkins and paper towels for these ugly cries. My chest implodes and breath leaves my body. Every annoyance attaches itself like sand on sweaty legs at the beach. I want booze, chocolate, sleep, church and mindless movies-often at the same time. As suddenly as it comes, it goes. I wipe my eyes, steady my heart and keep on going. I can keep walking. I can keep hugging my kids breathing in the promise of goodness, laughter and sugar cookies. I can laugh at and with my husband about crunchy hair and moronic political pundits. I can blog. Death ate the future I wanted with my Dad and too many others. “Glitch” the dinosaur ate my inbox. I can eat this bitter fruit of grief and loss until I find the seed at the center. Then I can plant it, water it with tears, sit beside it and seek out the sun. KimRo, I hope that you find strength as you grieve, but most of all peace and serenity. Please know that I”m praying for you, and I’m as wildly in love with now as I was ever before. Thank you for reminding me of His role in my grief. He was wounded for my transgressions, bruised for my iniquities and the chastisement for MY peace was laid upon His back so that by His stripes I could be healed. (Isaiah 53:5) I know this scripture intellectually, would seem He is calling me to know it by heart. I walk with you through this, my friend. You aren’t alone. Quadosh prayers!